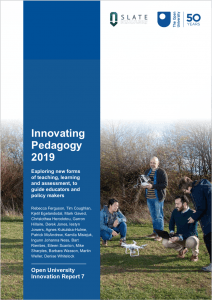 The latest Innovating Pedagogy report from The Open University explores ten innovative trends in teaching, learning and assessment in eduction. The 2019 report was written in collaboration with the Centre for the Science of Learning and Technology (SLATE) in Bergen, Norway and sketches ten trends ‘in currency’ that they think have the potential to provoke major shifts in educational practice at all levels. These are listed below “in approximate order of immediacy and timescale to widespread implementation”. Digital education features of course, “technology can help us to do new things, rooted in our understanding of how teaching and learning take place”. Some of these ideas will be familiar, others more novel so the short sketches provide a useful overview and update, with links to further exploration. Do you want to talk and learn about the latest ideas and practical solutions in digital education? To see how digital approaches have enhanced blended and online education in other research universities? Sign up for the free online sessions at the Digital Higher Education Summit, a blended conference from LERU (League of European Research Universities), of which UCL is a member . The Online Conference will run from the 1st until the 29th of November 2018. The blended conference comprises a ‘virtual’ online pre-conference and a face-to-face event in Utrecht. The on-campus conference in Utrecht, the Netherlands is an invitation-only event. The online conference is open to everyone. Many on-campus events will continue the topics from the online activities. The Blended Conference starts online on November 1st, four weeks before (some of) the participants convene in Utrecht. 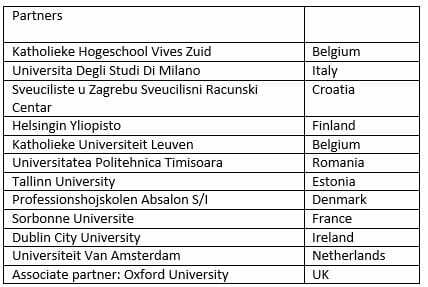 The LERU theme group on digital education is organising this first ever blended conference to disseminate knowledge of and experiences with digital teaching solutions in this group of leading universities. The blended approach will give a wide group of teachers and staff members the opportunity to build networks and hear about the latest developments from the different task groups. They will keep you updated on the schedule of activities around these topics. You can also sign up for the already scheduled online activities on the online community. The HE ‘think tank’, the Higher Education Policy Institute (HEPI), has just published Rebooting Learning for the Digital Age (PDF 58pp) written by three JISC leaders Sarah Davies, Joel Mullan and Paul Feldman. The report reviews best practice around the world to show how technology is benefiting universities and students through better teaching and learning, improved retention rates and lower costs and though a list of seven recommendations calls on universities to embrace new technology to meet the various challenges faced by the sector. While the actual approach is maybe less ‘reboot’ and more ‘refocus’, the report is an astute summary of the main issues and opportunities surrounding digital education in UK HE. It is more grounded than for example the OU Innovating Pedagogy 2016 report and provides a useful benchmark against which an institution such as UCL can gauge progress. A range of UK and international case studies indicate how digital initiatives can be used to improve student satisfaction, boost outcomes, retention and employability but still manage costs (so-called ‘win-win’ methods). However this inevitably requires strong leadership and the development of suitably-skilled staff. 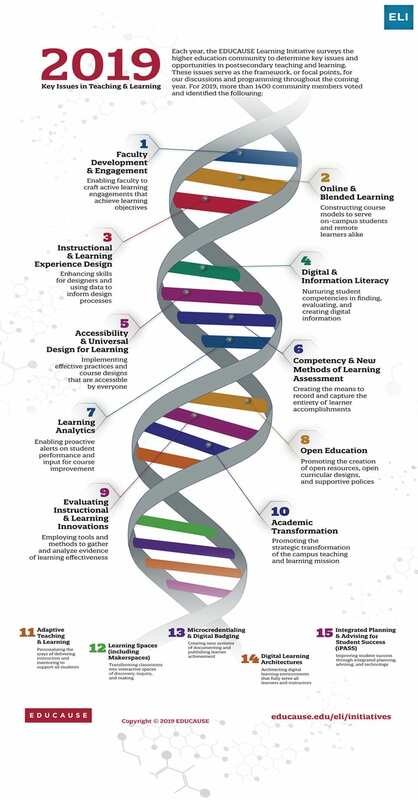 Two underpinning themes are threaded through the report, learning design and learning analytics. On the first of these, the report comments, “when ‘designed in’ as part of the overall pedagogic approach, technology can be used to enable great teaching and improve student outcomes” and the first recommendation is Higher education institutions should ensure that the effective use of technology for learning and teaching is built into curriculum design processes. UCL has been particularly active in this area with ABC Learning Design, a bespoke rapid-development method that has already been very successful. The second recommendation identifies a real need, UK HE should develop an evidence and knowledge base on what works in technology-enhanced learning to help universities, faculties and course teams make informed decisions, plus mechanisms to share and discuss practice. Learning analytics which correlates patterns of student activity with learning outcomes and offer staff the opportunity to identify disengaged and underachieving students is the second main theme of the report. The next two recommendations suggest universities adopt learning analytics and research how the big datasets can be harnessed to provide new insights into teaching and learning. Digital Educaton has of course been looking into this e.g. From Bricks to Clicks: the potential for learning analytics and 8th Jisc Learning Analytics Network. Steve Rowett’s second post links the two themes of the report and the Open University published The impact of 151 learning designs on student satisfaction and performance: social learning (analytics) matters last year showing the remarkable potential of this combined approach. The third section of the report provides a useful reflection on the potential role of technology-enhanced in the Teaching Excellence Framework (TEF). It recommends Digital technology should be recognised as a key tool for HEIs responding to the TEF. Providers should be expected to include information on how they are improving teaching through the use of digital technology in their submissions to the TEF. Recognising the risk involved in new methods and the sometimes conservatism of students it adds, “The Department for Education (DfE) and the TEF panel must ensure the TEF does not act as a barrier against institutions innovating with technology-enhanced approaches”. The final two recommendations reinforce the institutional prerequisites mentioned above to realise the opportunity of digital education HEIs should ensure the digital agenda is being led at senior levels – and should embed digital capabilities into recruitment, staff development, appraisal, reward and recognition and finally academic leads for learning and teaching should embrace technology-enhanced learning and the digital environment and recognise the relationship with other aspects of learning and teaching.